Experience DoneGood's new monthly subscription of farm-to-cup specialty coffee blends by our friends at Blue Mayan Coffee. Offering sustainably-harvested specialty coffee from family-owned farms in Guatemala, every bag of Blue Mayan artisan craft brew supports women and social impact programs in Guatemala to help them generate income and benefits. 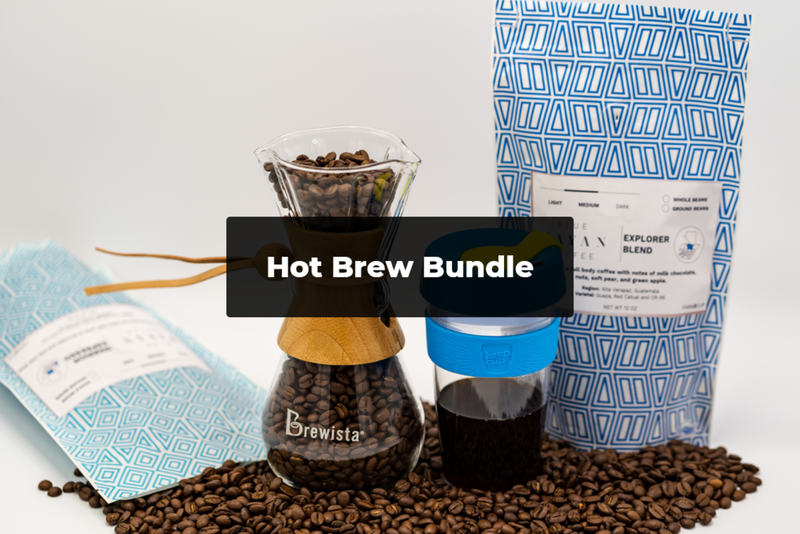 Each subscription bundle comes delivered to your doorstep with everything you need to brew an award-winning cup of coffee straight from the farm. You’ll sleep well knowing you’re supporting people and the planet and wake up to flavor-rich, artisan-made coffee. 90 percent of the profits from the DoneGood Morning Brew subscription will be used to provide job training and career placement to Guatemala’s unemployed youth through Programa Valentina. Blue Mayan Coffee is an intermediary-free coffee business providing coffee lovers with beans from family-owned farms in Alta Verapaz, Chiquimula, and San Marcos in Guatemala. 100 percent Guatemalan-owned, Blue Mayan Coffee is dedicated to supporting the local communities and environment. Their farm Tichacu is Rain Forest Alliance Certified and provides fresh water to orphans and the elderly as well as a local hospital, all known as “the city of happiness.” Home to a century-old rainforest, their farm San Juan, is run entirely on hydropower to protect the lush local fauna and flora. Moreover, to help company Guatemala’s challenges with chronic child malnutrition and access to education, Blue Mayan provides breakfast to all workers and their families and has helped them to build public schools, sponsor the professors, as well as provide day-care for the parents that work the farms.